Minton was mostly built in 1956 and opened for students in January 1957. It replaced a previous Minton school. The last record I have for it in the Worth County school system is the 1975-76 school year. 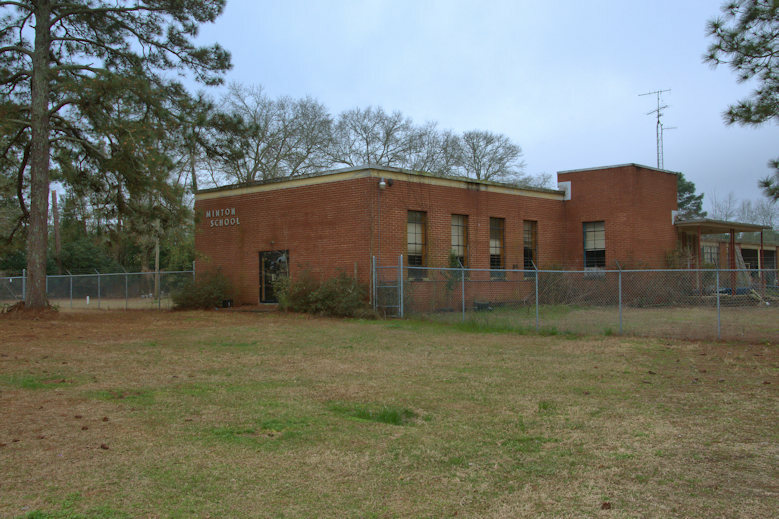 Less than a mile from Minton on Evergeen Road is an abandoned black school, Hillcrest, which is being taken over by the woods. There’s another near Warwick. Not architecturally attractive, but at least it’s a brick building. It has possibilities of enhancement.